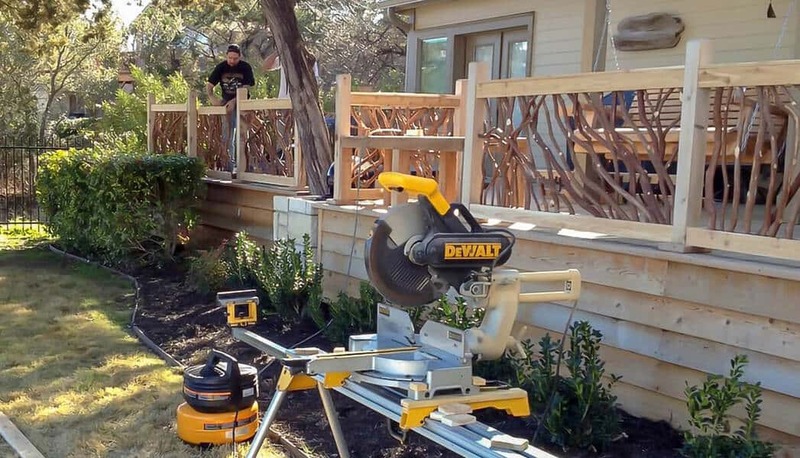 You have found the best way to dramatically improve the appearance of your home. 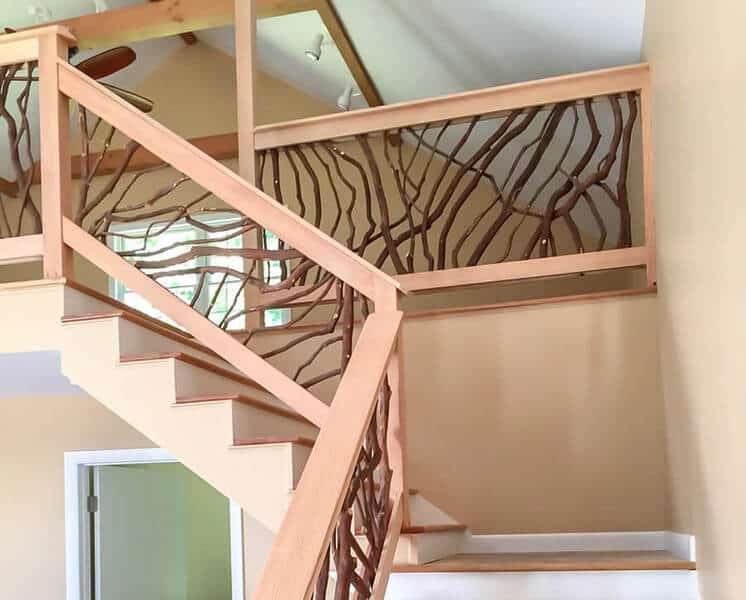 Mountain Laurel Handrail transforms your home into stunning art that draws compliments from all who see them. 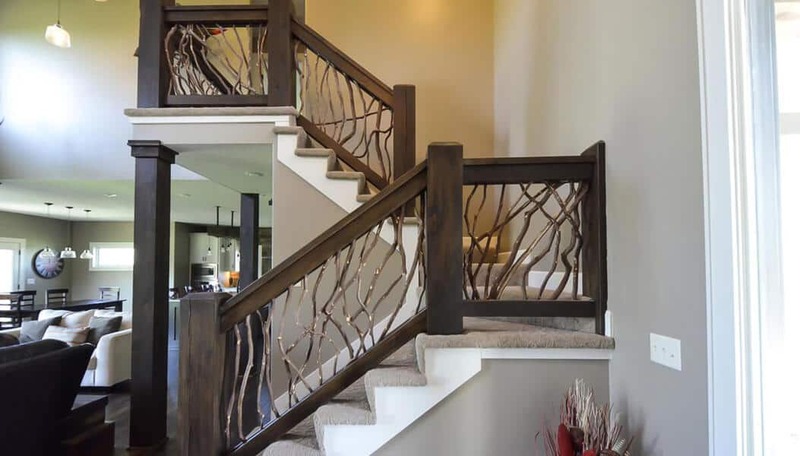 The handrails are beautiful!!! We get so many compliments on them. You were great to work with and you created a work of art for our home. That’s what Erika said about her front porch pictured here. 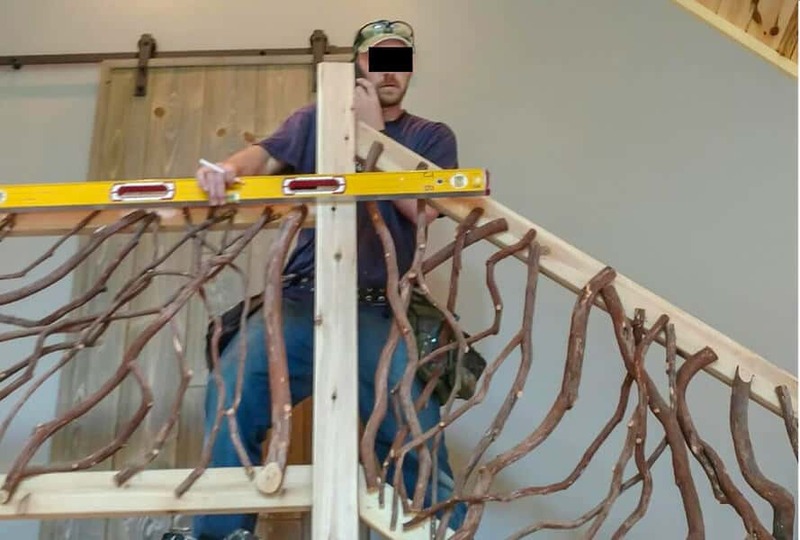 This is the first order of Mountain Laurel Handrails that was shipped nationwide in 2010. 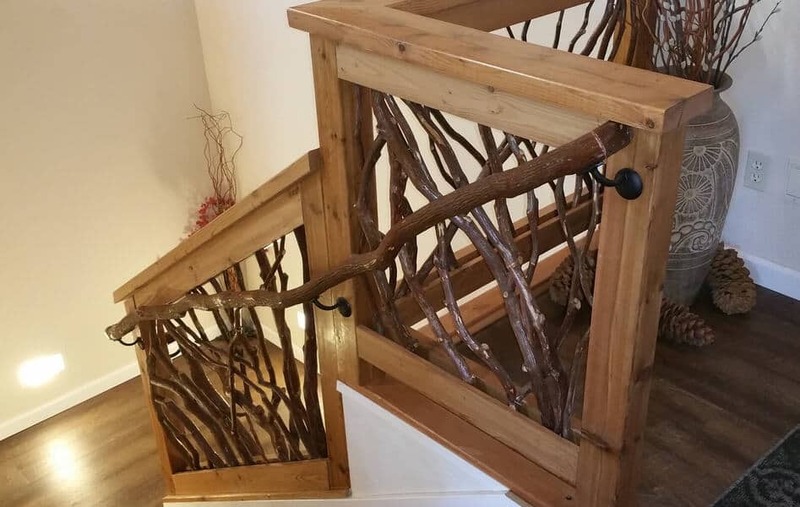 Mountain Laurel Handrails are available nationwide. We have shipped to Alaska, and Hawaii (pictured here), and Canada. Thank you, the deck is amazing and everyone comments on it. 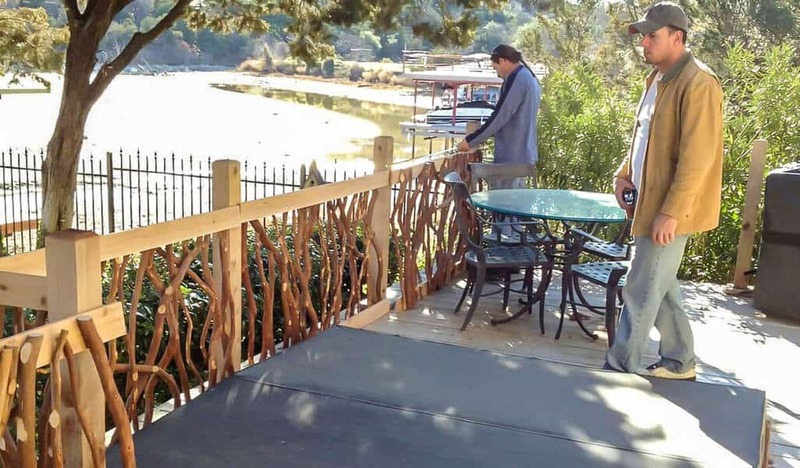 We have finally gotten the deck painted and everyone loves the laurel railings. Thank you for making our backyard come alive! Love, love, love the railings. Just stained them this week and they look great. Thanks again! It looks even better than I imagined… And I have a pretty good imagination! 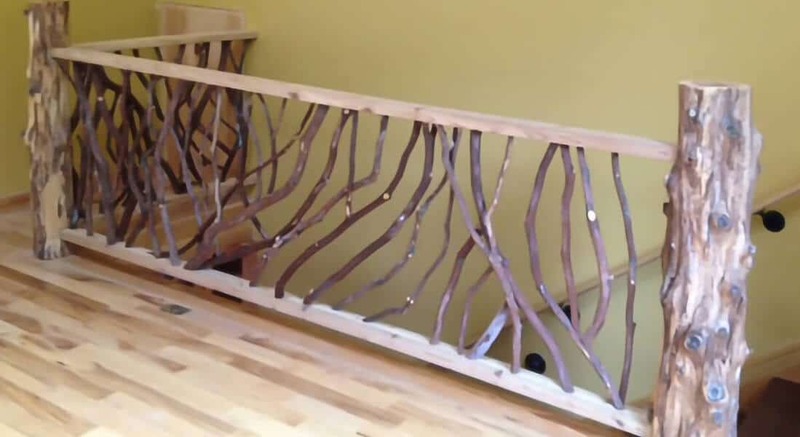 People are oohing and ahhing over your handiwork on our curved railing. Thanks so much for sharing your skills with our family. Yet still work with elegant modern décor. 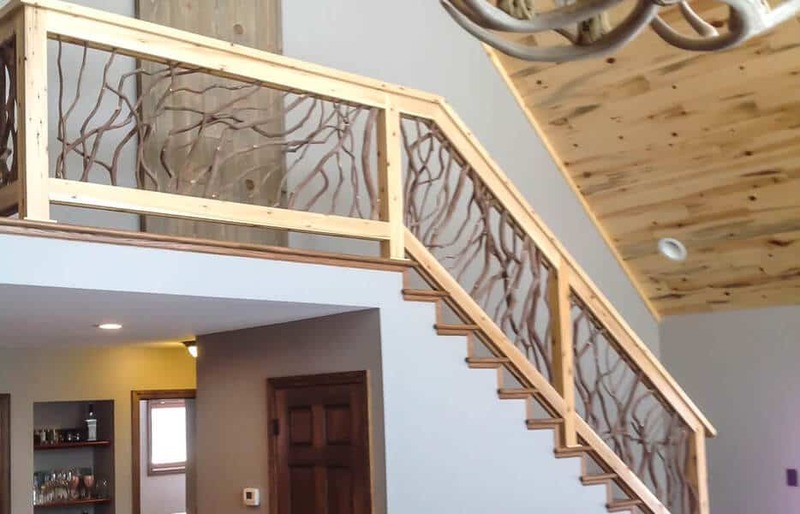 Last year we completed a custom home that had your handrails installed. They look amazing so I wanted to forward you some pictures! 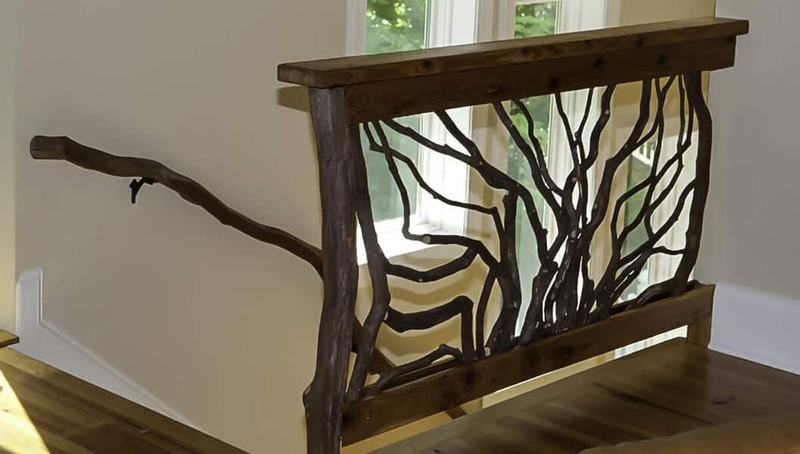 Or create something unique like this mountain laurel branch top rail and yellow pine bottom. Thanks again for the great product. Compliments continue regarding the rails. 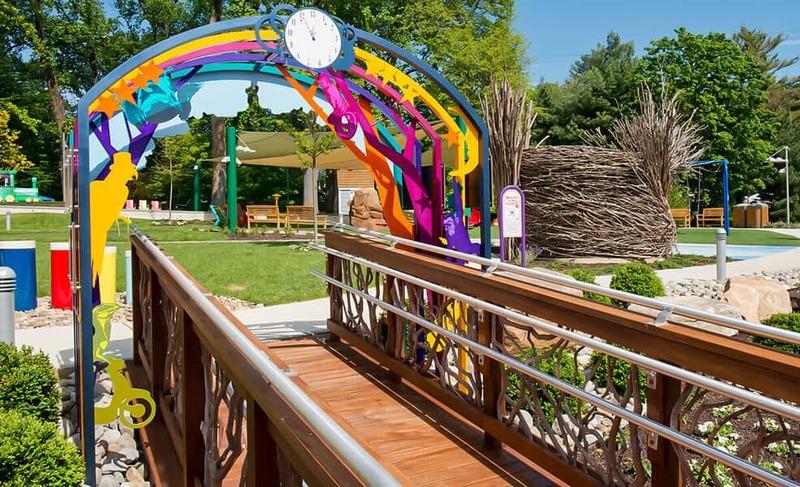 We love the pics... Can't wait to see the railings in person. We are really excited about our renovations and the railings! And they can be built extra-tall. This section also has a Mountain Laurel Newel Post. 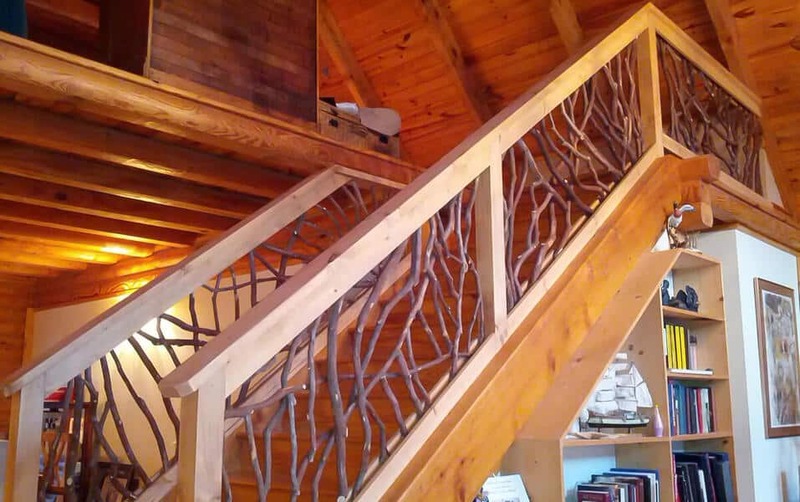 Continue the motif with a Mountain Laurel Branch Banister. 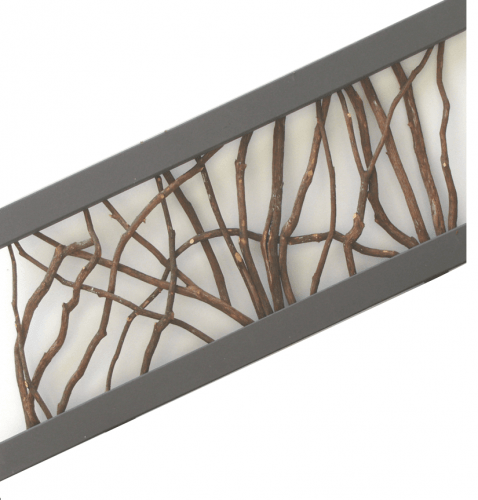 Mountain Laurel Branch Banister is approximately 2″ diameter and each piece is unique. We provide the material cleaned and ready to endjoin. Your contractor installs and end joins on site and provides the mounting hardware. Prices start at $12/lf plus shipping. Railings meet the 4″ sphere rule. 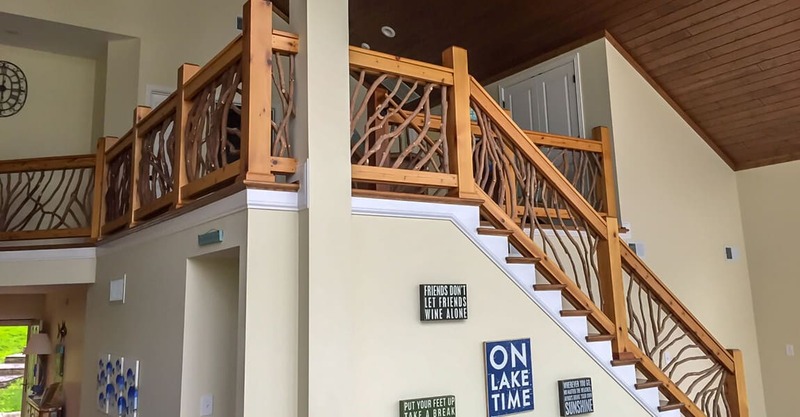 Mountain Laurel Handrails come in preassembled sections that are easy to install. You provide your actual post-to-post measurements. 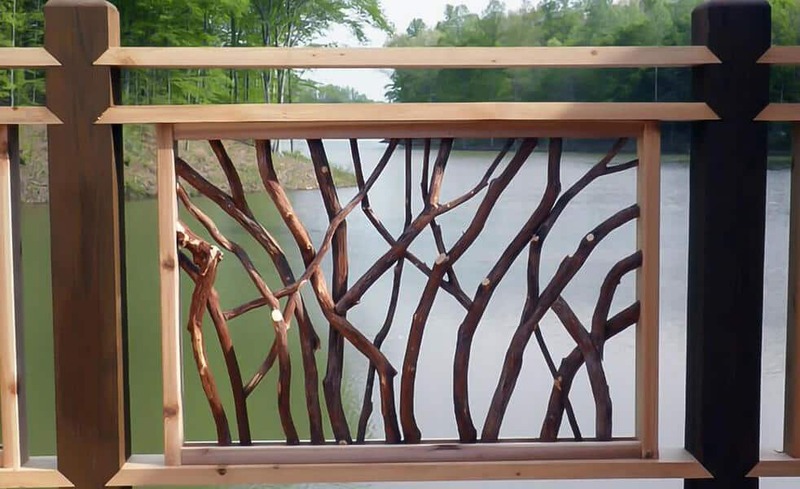 A typical section is a top and bottom cedar 2×4 with the mountain laurel branches woven in between. Sections are built one inch longer than your actual post-to-post measurements. You provide an additional 1×4 top and bottom to make a “sandwich” of the ends of the sticks, as well as the 2×6 top. Prices start at $50/lf plus shipping. To quote your project, I need your total linear footage and city/state for delivery. When you’re ready to order, you provide your actual post-to-post measurements. Sections are built only about one inch longer than your actual measurements, so accuracy is important. 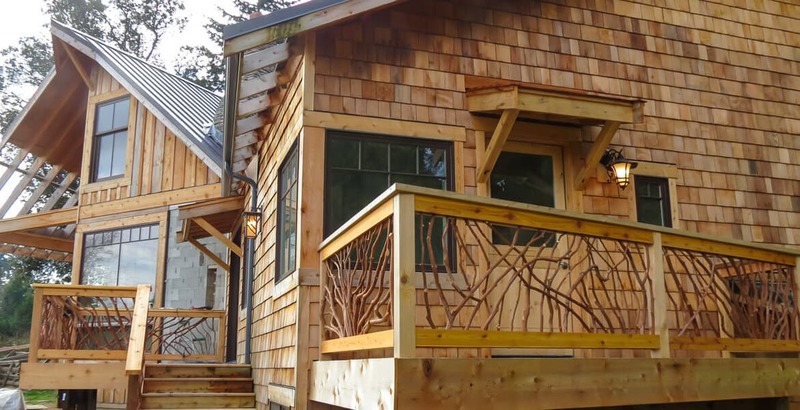 Typical lumber is cedar 2×4 which works well for projects where posts are 6×6 and larger. For 4×4 posts, 1×4 lumber is recommended. 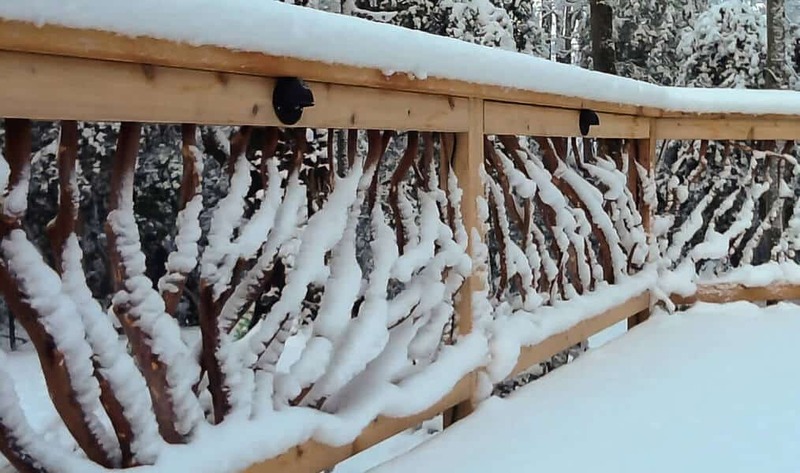 The mountain laurel branches are woven between the boards. Pattern is random with the exception of the sunburst. 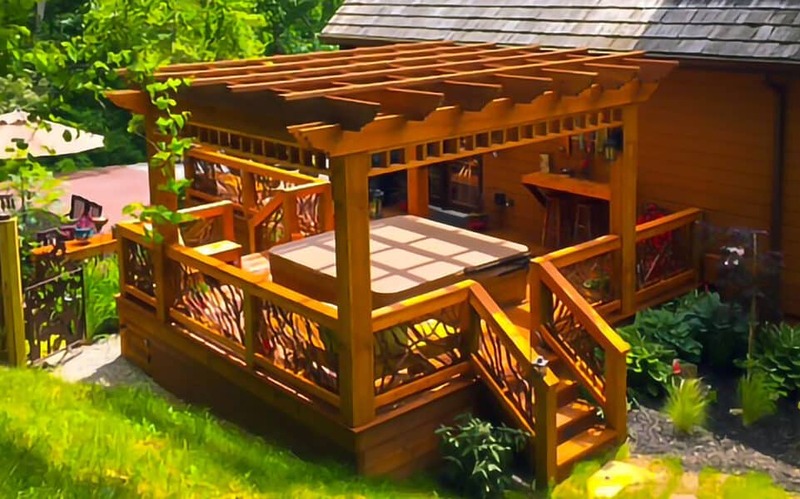 Paint or stain on the cedar 2×4 lumber is included in the price of the typical project. You select the stain and we get the same product to match what you’re already using. 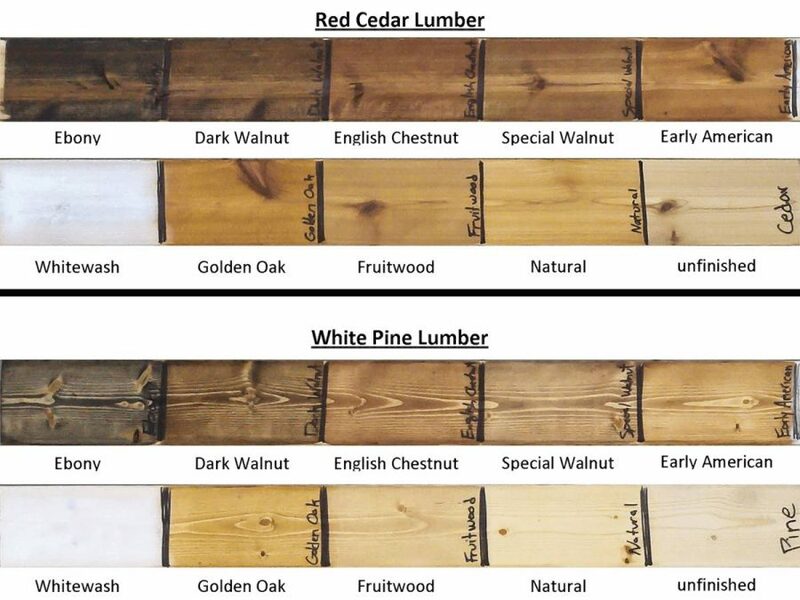 This picture shows some typical Minwax stain products applied to red cedar and white pine. 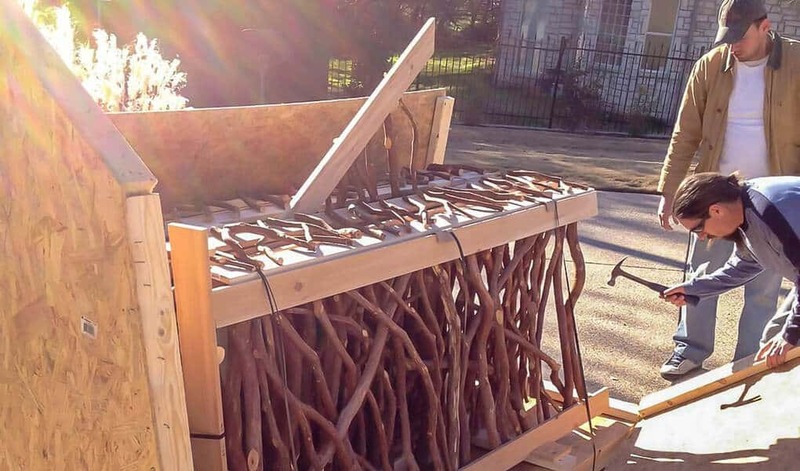 Sticks are typically not stained. Some people like a natural stain on the sticks since it brings out the red color and gives them a little bit of shine. Cost for this is $10/lf. What Information is Needed to Order? 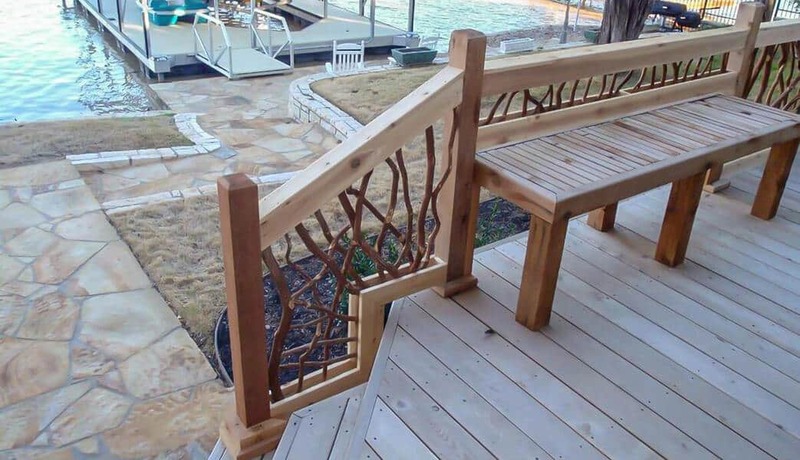 The handrail sections are one side of boards, typically 2×4 as shown here, with the mountain laurel sticks attached. 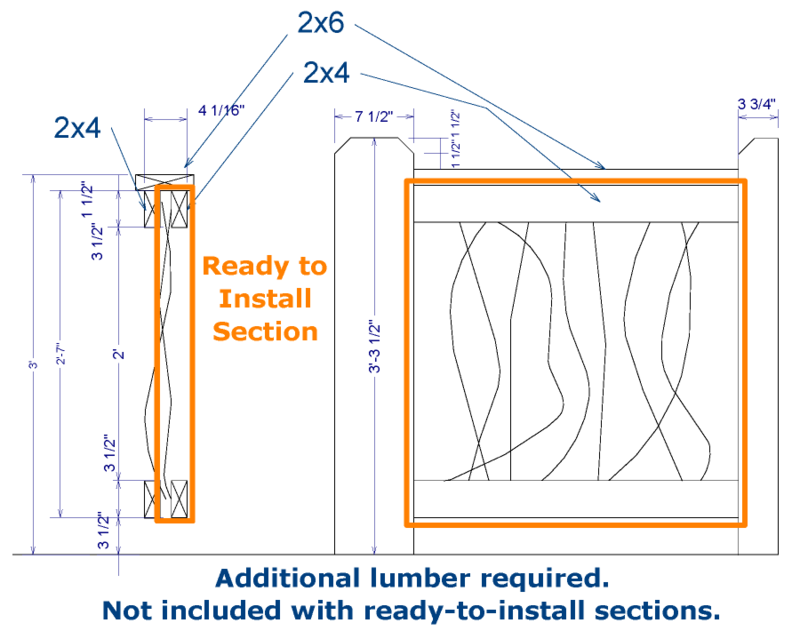 You provide and install the additional 2×4 boards on the other side and the top cap 2×6 on site after installing the sections. This is so that your installer can hide fasteners in the railing. 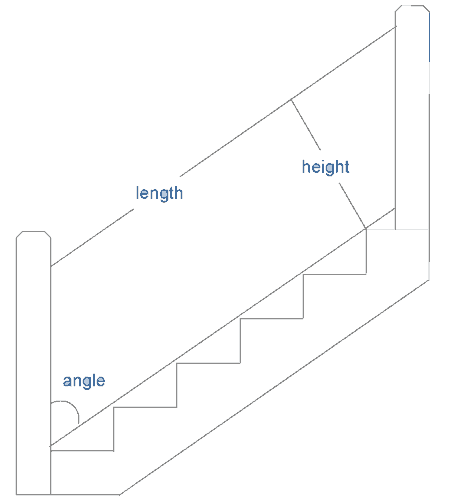 How to Measure for Stairs? 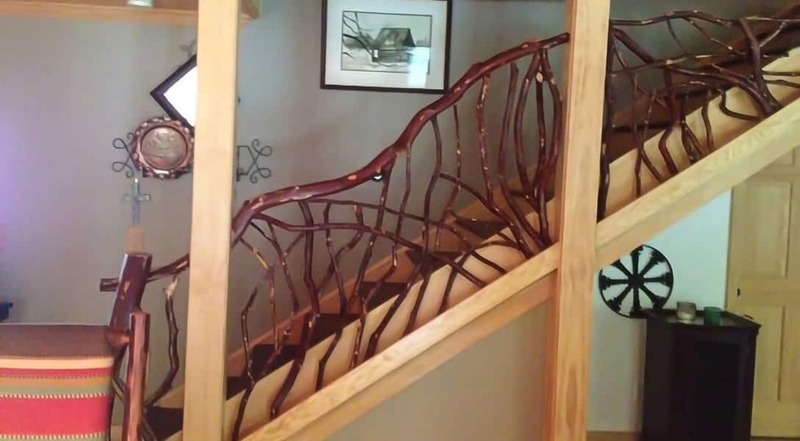 Stairs railings are built to match the angle of your stairs. Measure as shown in the drawing and provide: long-to-short, height measured perpendicular or square to the angle of the stairs, and the angle in degrees. Also include which side of the stair the railing is on as you stand at the bottom and look up. After we have finalized your order, it’s typically 4 weeks until we ship. Orders are packaged in custom built palletized crates that fit in a pickup truck and can be moved by a forklift. Orders are shipped freight and your address needs to be accessible to a full-size, 53′ tractor trailer. and cut the sections on your marks. Screw them into place hiding fasteners on the inside as possible. You provide additional 2x4s to sandwich the ends of the sticks, top and bottom. You also provide the 2×6 top cap. When it arrives on site, open the box and spread the sections out. Place each section on 2×4 blocks to space it off the floor. Mark the top bottom left and right, and cut the sections on your marks. Screw them into place hiding fasteners on the inside as possible. You provide additional 2x4s to sandwich the ends of the sticks, top and bottom. You also provide the 2×6 top cap. Hi James, We are finally living in our beautiful home – everybody comments on the railings. In fact, our inspector was clearly impressed with their beauty and sturdiness! Thanks again. We’ll probably be in touch for more handrails. And even then, results will be spectacular! This is the same project pictured above. Or something completely unique like carved birds and barnwood! I’m excited to beautify your home next. 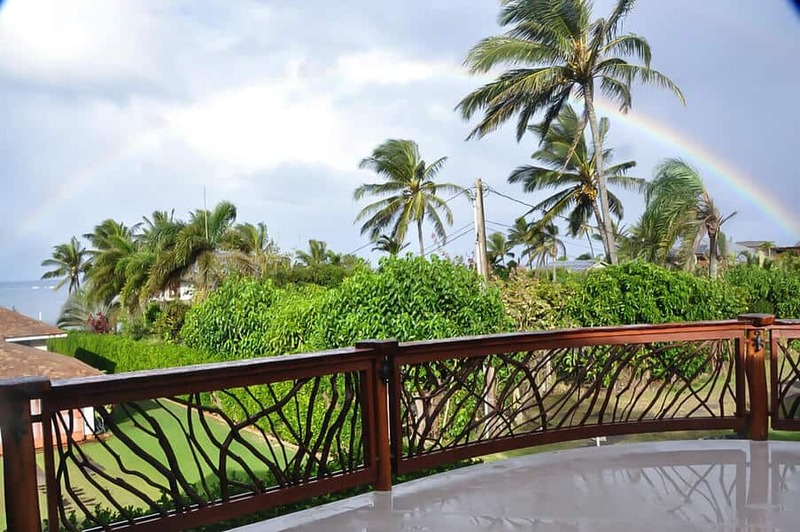 May Hawaiian rainbows shine on your railings!